Despite its evident symbolism of fertility and association with the ubiquitous wish for progeny, egg-shaped-shaped snuff bottles, without any compression of form, are extremely rare. This is especially surprising, given the obvious functional efficiency and universal appeal. 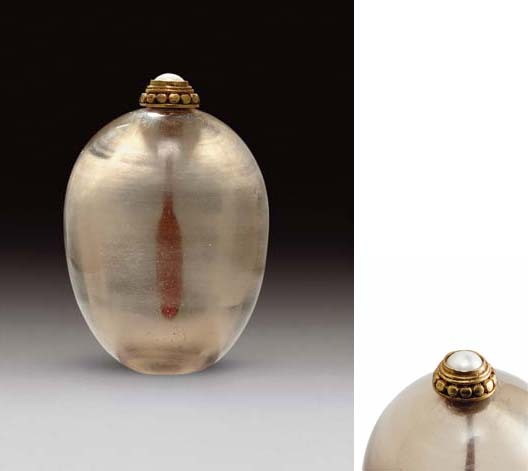 A rare white glass egg-form snuff bottle imitating nephrite, formerly from the J & J Collection, was sold in these rooms, 29 March 2006, lot 49.